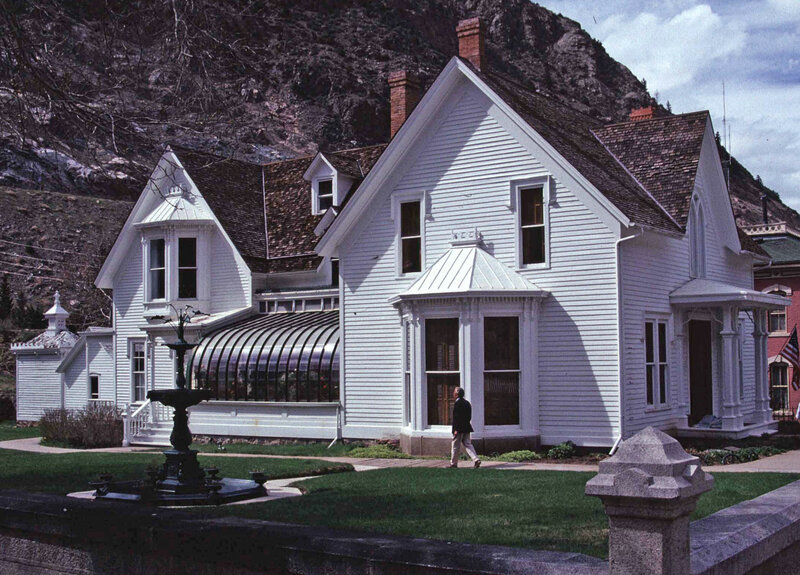 The Gothic Revival style Hamill House is a 2½-story gabled roof wood frame residence built on a stone foundation. The Hamill House, Georgetown, is an example of the Carpenter Gothic style. William Hamill purchased what was a simple circa 1867 residence from his brother-in-law in 1874 and gradually transformed it into an elegant reflection of his increasing personal wealth and prestige. Two hipped roof stone buildings are located at the rear of the property. The more elaborate one, of cut coursed granite, served as Hamill’s office. The other, of rough cut uncoursed stone, served as a stable and carriage house. Since the 1970s, the property has been operated as a museum by the Georgetown Historical Society. Restoration work has been funded with the help of the SHF.